As you know connecting to wireless network manually is required sometimes especially when your computer fail to scan and detect certain wireless network (such as hidden wireless network) that you want to connect to or you got problem to connect to a particular wireless network automatically. 1) Click the network icon on lower right corner of task bar area in order to show wireless network or other network information, and go ahead to click on the Network settings. 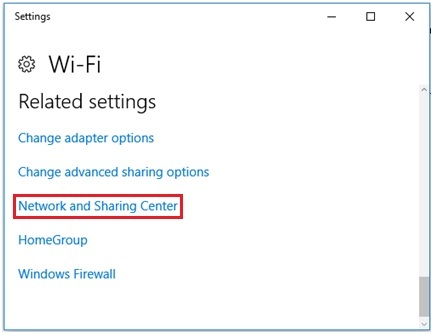 2) Scroll down the Settings window and click on Network and Sharing Center under Related settings section. 3) Once Network and Sharing Center window is opened, go ahead to click on Set up a new connection or network. 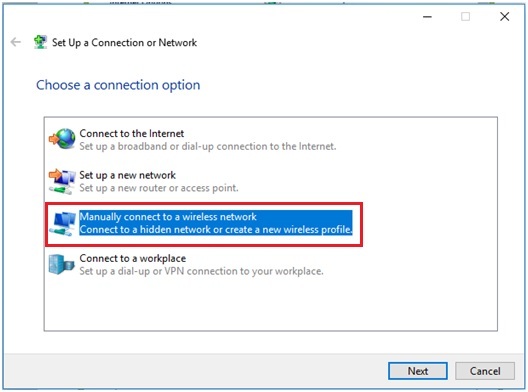 4) Set Up a Connection or Network window will appear, proceed to click on Manually connect to a wireless network and click Next. 5) Ok, here comes the important configuration you need to do! 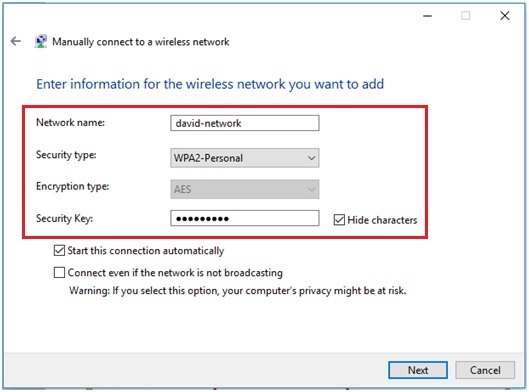 Here you need to enter the wireless network related information, such as network name/SSID, security type, encryption type and security key of the wireless network that you wish to connect to (it should match the wireless settings on wireless router/access point that you plan to connect to). Click Next after filling in the details. The supported security types are No authentication (Open), WEP, WPA2-Personal, WPA2-Enterprise and 802.1x. Note: Tick on Start this connection automatically option if you want it to connect to this wireless network automatically next time when it’s in connecting range. Note: You can also tick on Connect even if the network is not broadcasting option if you trust this wireless network. 6) Ok, you have just successfully created a wireless network profile manually and go ahead to connect to it. Finally click Close. 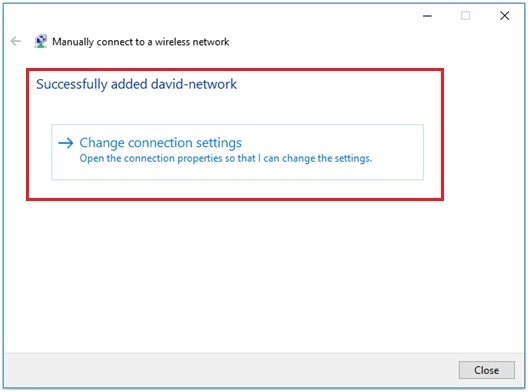 You can also change the wireless network connection settings again by clicking on Change connection settings, else you can change the settings in manage known networks window later. 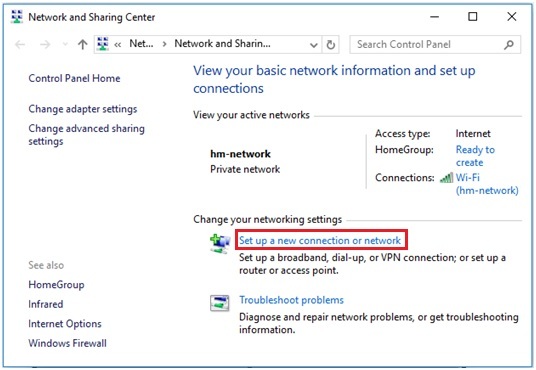 Return to top of "How to Connect to Wireless Network Manually in Windows 10"! !